Kathy McDonald has been appointed as the new Director of Concierge Services as part of the Expert Services team at CPAmerica International. “My biggest ongoing project during the first half of 2012, by far, is shaping a new Visitation Improvement Program, whereby each CPAmerica member will welcome a visit from two team consultants to suggest practice improvement strategies,” McDonald said. Kathy McDonald has been appointed as the new Director of Concierge Services as part of the Expert Services team at CPAmerica International. 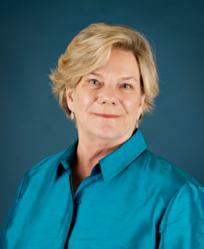 She is a 25-year veteran of CPAmerica, having served the association in many management capacities. CPAmerica International is a national association of 80 large, independent CPA and consulting firms and a member of Crowe Horwath International. McDonald hasn’t wasted any time in her new role. McDonald will be available to provide guidance to CPAmerica members in areas related to firm management and administration, including issues such as establishing non-equity partner status, multi-state licensing, establishing a mentoring program, retreat planning and recommendations of outside facilitators, marketing support for a CPA firm acquisition or development assistance for an employee benefits niche expansion. “With Kathy joining the Expert Services team as Director of Concierge Services, members will have another trusted CPAmerica resource to go to with their complex or confidential matters,” said Alan Deichler, president of CPAmerica. McDonald’s services are currently used by leading partners and firm administrators at member firms. CPAmerica is a national association of 80 large independent CPA firms that provides practice management support, continuing education, marketing, online services and other programs for the improvement of its member firms. As a member of Crowe Horwath International (http://www.crowehorwath.net), the association has more than 650 offices worldwide, and combined firm revenues approach $3 billion. You can also find CPAmerica on Facebook (http://www.facebook.com/cpamerica) and Twitter (http://www.twitter.com/cpamericaintl).